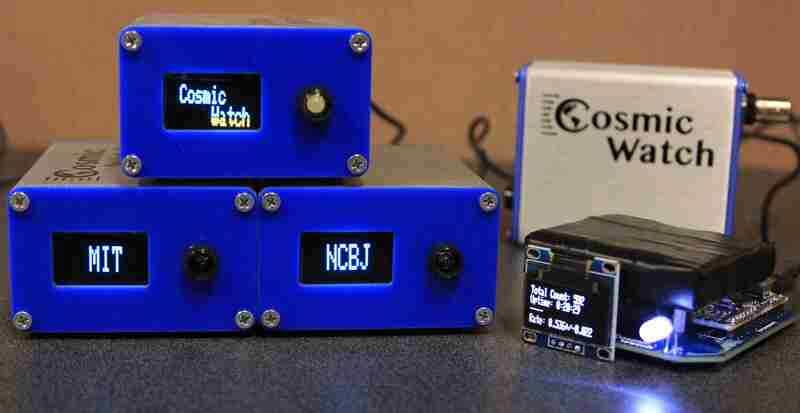 The CosmicWatch Desktop Muon Detectors are an MIT based undergraduate-level physics project that incorporates various aspects of electronics-shop and machine-shop technical development. The itself is a self-contained apparatus that employs plastic scintillator as a detection medium and a silicon photomultiplier for light collection. These detectors can be battery powered and used in conjunction with the provided software to make interesting physics measurements. The first day will be used to give a breif introduction into the project, then move to the lab and build a complete detector. This will involve learning about surface mount technology, learning to solder, and testing the electronics. The second day will be dedicated to building a second detector in the morning, then using both detectors to begin making measurements. During the final day, we will begin working with the data, which will include writing a python based plotting program. The only recommended equipment for the project would be a laptop (preferentially MAC or Linux based, but we will be able to set things up on Windows as well, if needed). There are no serious safety concerns, however, students will work with radioactive sources and soldering irons. The material cost of each detector is approximately $100. If the participants would like to keep the detector that they build, or put together a kit to bring back with them, they will be required to pay for the material cost. We will be working in a lab at the Wisconsin IceCube Particle Astrophysics Center (WiPAC) in Madison Wisconsin. In particular, the instructions.pdf document goes through in detail how to build and test the detectors.